Just like a bad relationship, it can be hard to judge the exact point that things got tricky, and even harder to know when it’s time to end it. Are you really getting treated as badly as you think? Part of your property manager’s job entails inspecting your property for compliance issues to ensure that your property, and you as a landlord, are adhering to the relevant legislation. The property management sector is bound by a variety of rules and regulations and your property manager must be across all of these on your behalf – all of the time. If they’re not, then it’s time to shop around for a professional who is. This is a common one. Are you frequently diverted to your Property Manager’s Assistant? Or worse, do you find yourself frequently leaving a string of messages that never get returned at all? Most investors like varying levels of communication but no one likes a property manager who is completely incommunicado. If you consistently can’t reach your property manager when you need to, this is usually a red flag that they may not be right fit for you. Nobody enjoys feeling like a nagger, right? Are you having to chase your property manager up for inspection reports and property feedback? Professional property management is all about strict notice periods so if they can’t even send you your monthly report on time, what other things are they doing late – or worse, not at all? A good example of this is property maintenance. If your property manager doesn’t take the time to assess and action tenant maintenance requests on time, or is negligent in their duties, you can face thousands of dollars in repair costs. Repairs not being done on time and/or in an orderly fashion. Tenant complaints not being addressed. A serious lack of regular property inspections. If your property manager doesn’t follow through regularly, then you should consider finding someone who does what they promise. Part of a professional property manager’s role is to look after your investment property, including organising any required maintenance or repairs in a timely fashion. This includes maintenance that the tenant doesn’t action, rather, the property manager observes at the regular inspections. Aside from possible tenant clutter, if your property is not looking its best – such as it has broken shutters, missing tiles, or an overgrown yard, etc. – then you need to immediately take action to resolve the issue. Your investment property is a prized asset, and it should be entrusted to an agency that will give it the time and attention that you are paying for! Yikes, I do need to break up with my property manager… but where do I start? If your property manager is regularly displaying any of these traits, it’s probably time to find a new one. But you don’t want to swap and end up in the same situation! You can safeguard against this by ensuring that your new property manager follows your instructions to a tee. Also, don’t assume your old property manager did their job. Be sure to conduct a thorough review of all your tenant records, and check for collected rents, inspections, repairs, etc. It will take a bit of time and organising, but it will be worth it in the long term. Then, set up an onsite inspection ASAP – this will give your tenants a face with the new name. And you can give the expectation that the new property manager will be more accessible. Implement any necessary action to collect past due rents including, if necessary, initiation of eviction proceedings. If your old property manager was a poor performer, it’s highly likely that your tenants will have a number of frustrations that they’re keen to vent. What if my tenants have a LOT of concerns… how do we go forward from there? Take the time to listen to their concerns via your new property manager, but remember that unless any concerns were in writing, it legally never happened. Get your new property manager to advise your tenants to both call, and email any property concerns going forward. Following this procedure will benefit both parties, and having a clear paper trail of correspondence is always a plus. 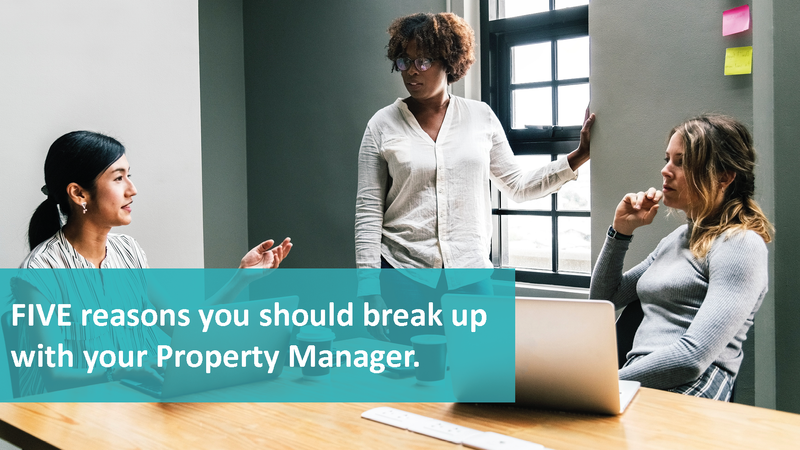 Once you’ve given your new property manager the reigns, it can be useful to set up a few check in calls or face-to-face meetings. This will help you monitor their performance, and be able to quickly judge if you have fallen into the same relationship as before. If they keep their word, and make the effort to be timely and efficient with you, your tenants, and your property, you’ll know you’ve found a keeper. All property investors need to remember that the bottom line should always be to improve their cash flow. This is why it’s vital to address any poor property management issues as soon as you become aware of them. The longer you wait; the more damage done; the longer it will take to bring your portfolio back up to par. If you would like more advice or want to experience property management with passion, contact We Love Rentals today on (08) 6254 6300!